For the third year in succession I spent my Christmas in Asia. This may seem strange to many, but I can honestly say it is always a highlight of my year. But this year it extra special because it incorporated my first ever visit to Hong Kong. Somehow I managed to take off on Monday, 20 December despite the terrible weather conditions that had seen Heathrow closed since two days before. The airport looked like a scene from a disaster movie. The best feeling that Monday morning was, after a nightmare drive from the Midlands, to be handed the boarding pass. Although we took off 3.5 hours late, to applause from all the passengers, it was sheer relief to know that my schedule in Taiwan and then Hong Kong was going to be unaffected. I touched down at Hong Kong about 2.5 hours late and had missed my early morning (21st) connection on to Taipei, but this was no big deal..I would still get there in time for the 7pm masterclass. Normally I don't try to schedule anything for the arrival day, especially after travelling so far, but it was unavoidable. The second part of the Taiwan trip, in Tainan and Chai-yi was already fixed. I checked in my hotel in Taipei around 4pm, and met my good friends Yi-wen Tsai, and Yi-chin Chen for coffee and some local cuisine. After a stiff coffee we headed to the masterclass venue. 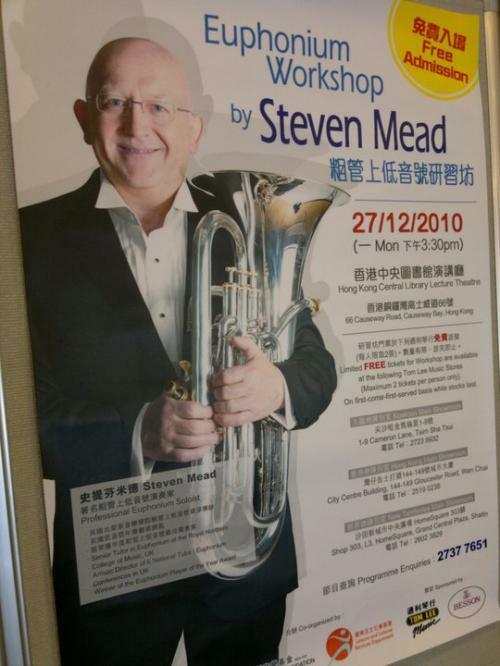 To my delight, the turn out at the class was good, and it seemed all the euphonium players in Taiwan were in attendance, including my former student Ray, who studied at the RNCM and now has lots ( I mean LOTS) of young budding euphonium students in Taiwan and spends the week travelling by train the length of the country to do his work. 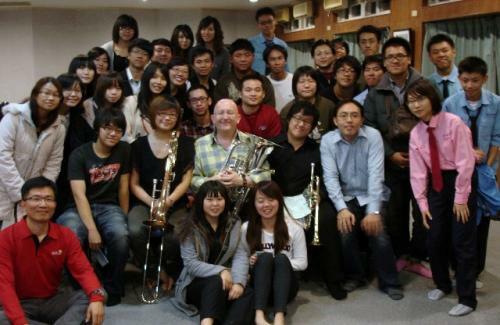 Many pro players were there from the Taipei Symphonic Band who I played with last Christmas and lots of students. Two of them, girls, played in the class and did a nice job. I usually find my comments in classes in Asia involve getting them to breathe better and play with musical shape and contrasts. Normally the notes are ok, but it's everything else that needs work. I felt surprisingly good considering the long day I'd had (it was 3am UK when the class started). The class ending with me playing some solo pieces and some questions from the audience. It was a great first night, and still not over. 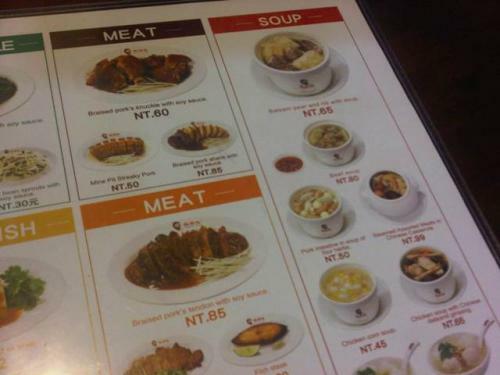 We went to a restaurant and enjoyed some local delicacies!! The next morning it was off to Tainan to teach from 11am till 6, then drive 1.5 hours to Chai-yi and rehearse with the brass ensemble for 2 hours. This was a LONG day too, but, fired on by the energy and dedication of the brass students in Tainan, I made it through, catching only a brief nap in the car before arriving at Chai-yi. The students there were so welcoming, it left me speechless. They were a bit nervous, as it was to be their first concert, but there were clearly some very good players in this group. The conductor was a good friend of mine Ts-daung Pan who was so helpful in helping me set up this trip. We did two pieces together, Pantomime and Pokarekare Anna and the performance was to be the next evening. 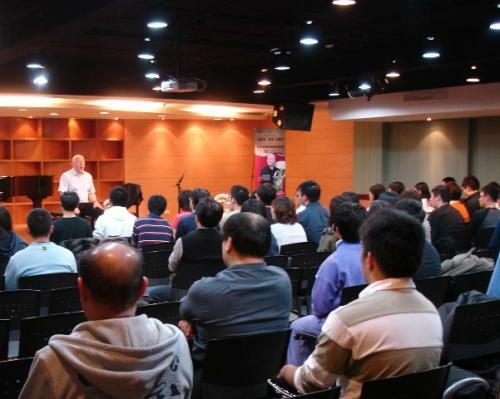 During the next day was teaching at Chaiyi and a masterclass in the afternoon, followed by more 1:1 teaching. Another long day...and the weather outside was just great, about 24c !! It was an incredibly positive afternoon and I felt really energised to help these students, who showed a great desire to improve their skills. The next day, 24th, was concert day. 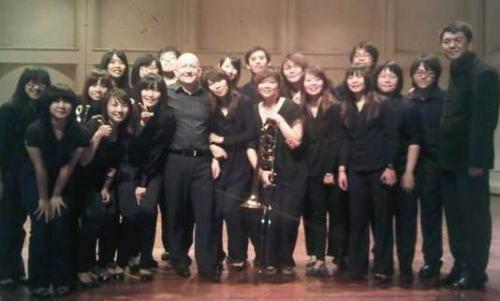 It went well, and the young band from the University did themselves proud. A party, complete with low brass Christmas carols at a restaurant, outdoor (!) took us right to midnight. And midnight was a really lovely moment to spend with my new and some old friends. The morning came around all too quickly and I flew from Kaoshuing airport direct to Hong Kong with Dragon Airlines. Flying on Christmas Day was a bit of a strange feeling, but with Christmas spirit in abundance both in Taiwan and Hong Kong it was an easy and friendly day. 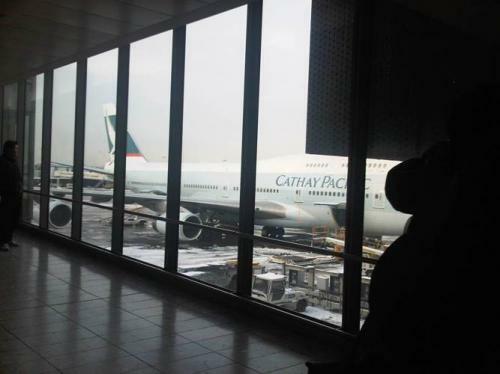 Landing in Hong Kong, for real, (rather than in transit) was a very special experience for me. There wasn't the clear blue sky I was hoping for, although it graciously arrived the next morning. It was about 19c and misty and the full marvels of the HK skyline weren't revealed until after dinner that night. 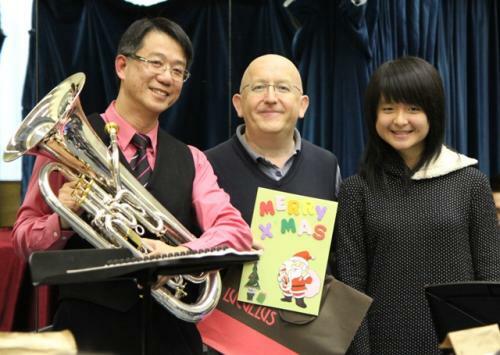 Before that I had a rehearsal with the Hong Kong Youth Symphonic Band under the direction of Wing Heng Pak, who I had a met in Beijing in July and who had invited me to Hong Kong and so in effect got the whole of my Xmas in Asia trip started. 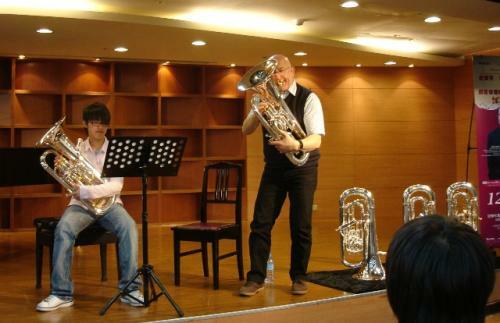 He is a Senior Music Officer for the education system in Hong Kong and has done so much to develop youth music and wind music in particular in this country. The current system they have there now is quite outstanding and Wing Heng Pak has had a big hand in shaping this. The young band did well and it was only a few points of tempi and balance that needed adjusting. They had all signed a Xmas card and gave me a large box of chocolates. It was a lovely touch. From there I managed to get a little rest in the hotel before dinner with representatives of the HK Tak Ming Philharmonic Winds, with whom I had a concert on the 28th. 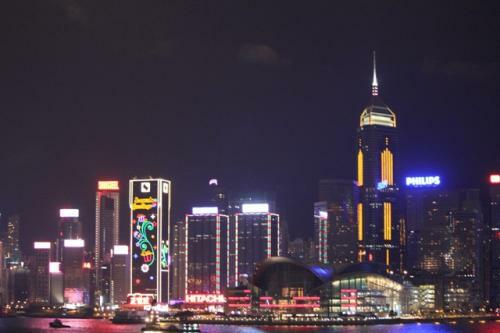 The after dinner photos against the HK skyline were memorable..it really took my break away ! 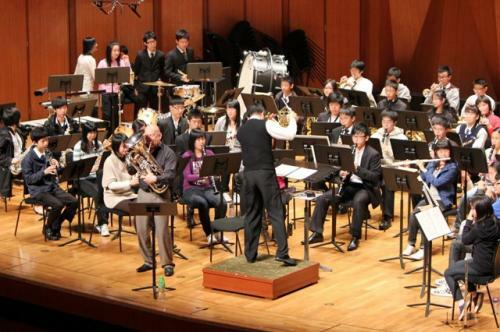 The next day was the final of the HK Youth Wind Band Championships, which began early afternoon. First we had another rehearsal for our post-contest concert and everything was ready and in good shape. The contest was excellent, and I was invited to join the 3-man jury for the afternoon. As you might, it was civilised open adjudication with a great atmosphere in the whole. I had just 5 minutes to warm up before the concert, always a difficult thing to go from judge to soloist...but it had to be done. 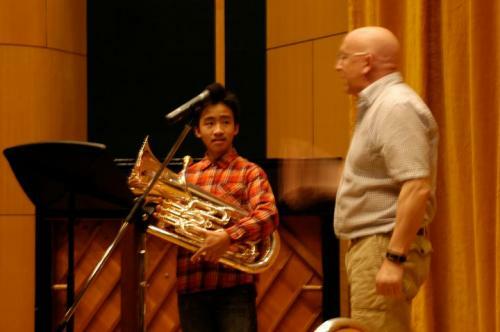 The hall was pretty full, of young competitors and their conductors and teachers. All went very well and the band accompaniment was really first class, on a difficult programme. Last that evening we had a dinner in an excellent Chinese restaurant that specialised in seafood. 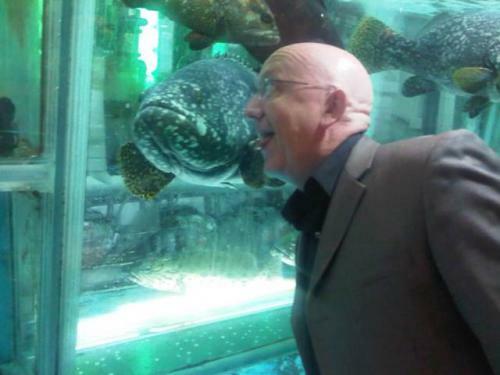 I was amazed to see what look liked an aquarium in part of the restaurant was in fact the fish for the diners...! The next day I taught some lessons in the morning then gave a three hour masterclass in the afternoon, to 200 brass enthusiasts, and there were four excellent performers on show. One player that caught my eye was the very talented Eason Law, just 13 years of age but who played the Fantasy (Sparke) with ease. Great potential here !! 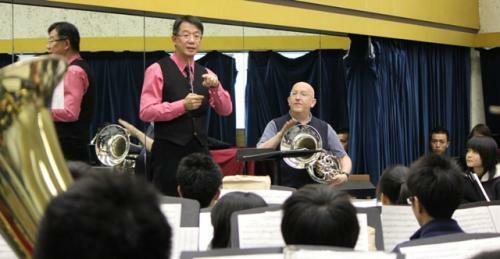 From there it was on to a rehearsal with Tak Ming Philharmonic at their headquarters. This is an ambitious new band, who had planned this concert to perfection. 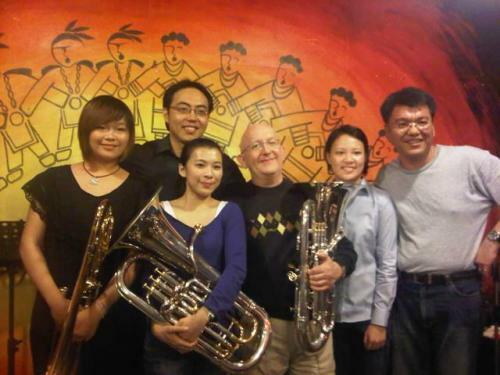 Wing Heng Pak was again behind the band along with two of his colleagues that attended the Tak Ming school many years before. This was only their 2nd year in existence and they are doing very well indeed. The atmosphere in the band room was terrific and I've never seen so many cameras in a band room before. The whole trip saw more photos taken than I can ever remember...thousands !! By the end of the rehearsal I know we would have a great concert the following night. 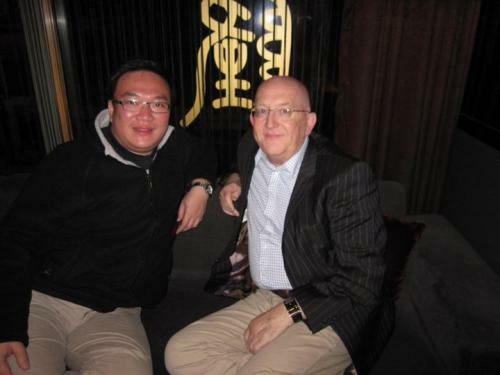 I was going to go straight to bed but was persuaded by Stanley Chan, a bass trombone player from the group and successful HK businessman to have a late night drink. It was a nice unwind. The next day was my final full day in HK and had another 5 hours teaching, a dress rehearsal and the final concert...there were no easy days in HK ! Enjoyable yes, but this was no picnic !! The final concert was a wonderful way to finish the trip with a good audience, bigger than expected, and the band and conductor on great form. I was very happy too, the lips and brain had worked well together all trip and felt really good even after a tough schedule. The reaction from the audience was heart warming and the after concert meeting with brass enthusiasts and many euphers, was just brilliant. We had two late evening parties, but all pretty civilised, and the next morning at 7am I was taken to the airport for the 12 hour flight back to Heathrow. It was a good trip home and good to see the family again after these days away. 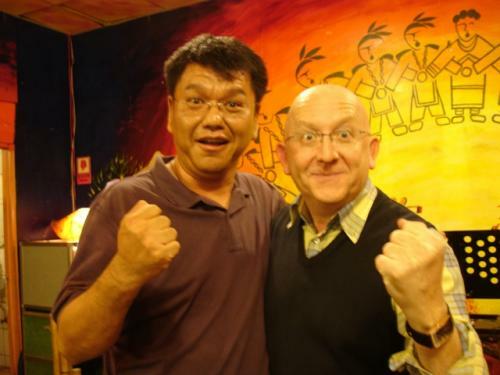 I hope to return to Hong Kong in 2011 and probably Taiwan too. 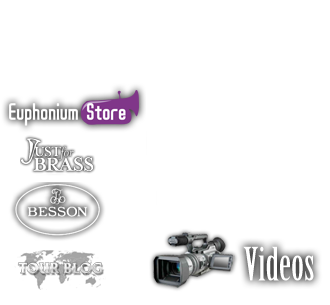 The work to promote the euphonium here goes on ! Thanks to everyone for making this trip possible. 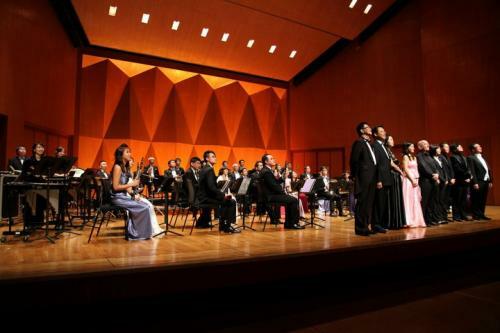 Aeolus Music, Ts-daung Pan , Chai-yi University, Wing Heng Pak, Tak Ming Philharmonic, TomLee Music, Peggy Wong, Stanley Chan, Palas Chan, Olivier Auclair, Buffet Crampon/Besson, RNCM.